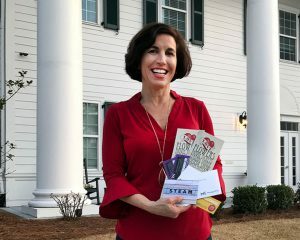 Stacy won “The Perfect Valentine’s Weekend” on AccessWilmington.com. Prizes included a Beautiful Flower Arrangement from Flowers by June, a $50 Gift Card to Seam Restaurant downtown in the Embassy Suites Hotel, A Couple’s Massage from Massage Envy of Monkey Junction, Dead Crow Comedy Show Passes and movie tickets to the Stone Theatre at The Point. You could be an Access Contest Winner too! Sign up for our Email List. Receive occasional emails alerting you to opportunities for special offers, free concert tickets, and exclusive Access Wilmington Contest Giveaway promotions? Sign up now for our Subscriber Email List. It’s quick, it’s free and we promise not to bombard you with unwanted emails. We hate spam too! Every year we gave away lots of gifts and prizes to our subscribers, including Concert Tickets, Theater Tickets, Restaurant Gift Cards, Movie Tickets, Comedy Club Passes, Rounds of Golf, Massage Gift Cards and more. Don’t miss what’s happening on AccessWilmington.com, sign up now. Note: we ask for your phone number, so if you win we can text you. Providing your phone number is optional and not required to sign up for our emails.